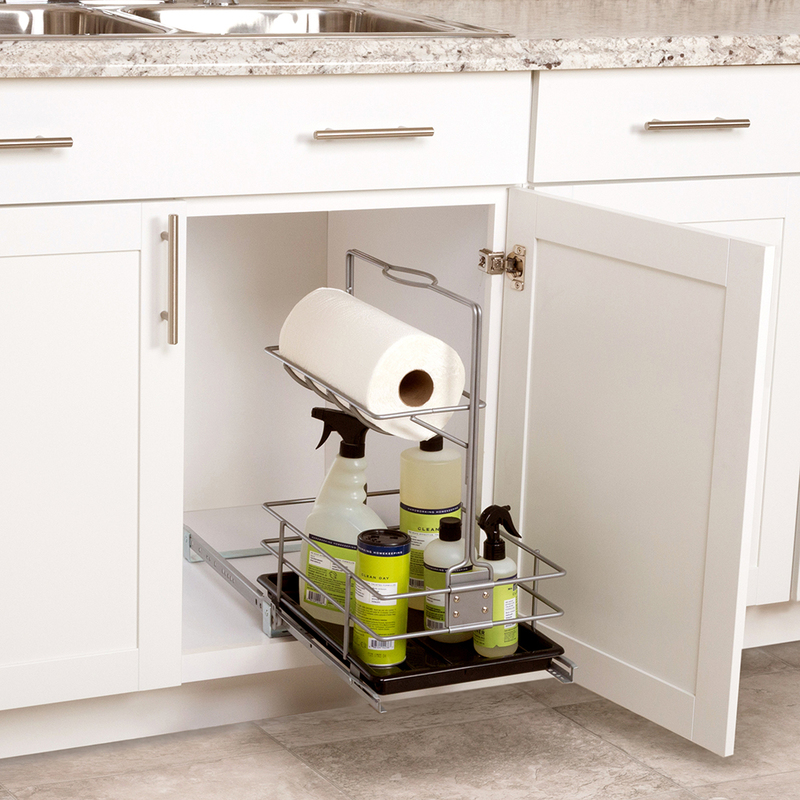 Cleanup is simple when you take along this under-cabinet removable cleaning caddy. Just detach from the mounted slide system and go. 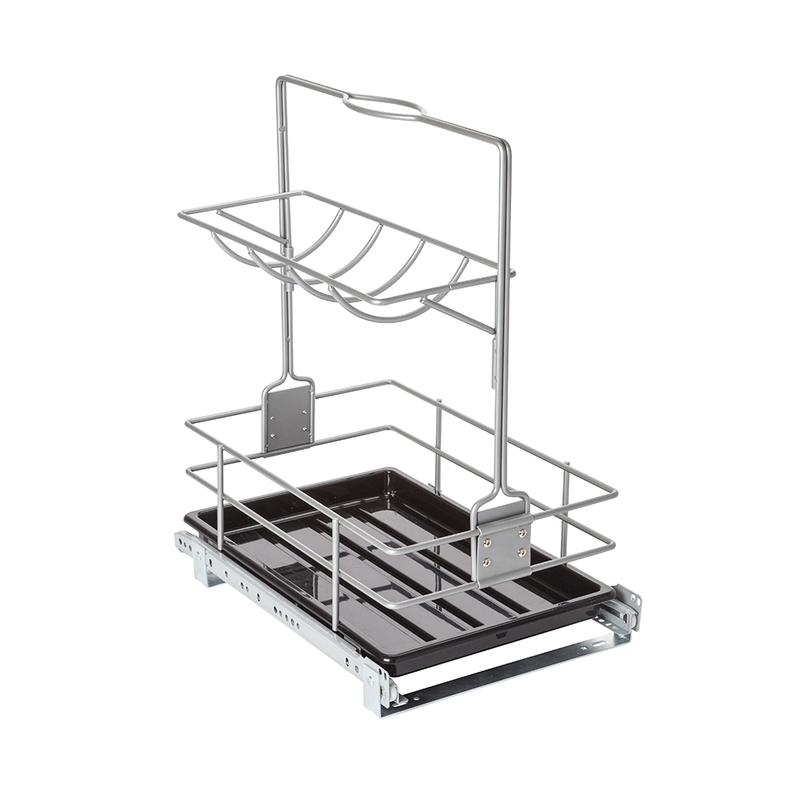 Pullout basket stores all your cleaning supplies; easy-to-clean bottom tray catches drips and spills. Paper towel holder on top mounts on the left or right to accommodate plumbing.